This soup cooks in less than 15 minutes, but your friends will think it’s been simmering all day long. 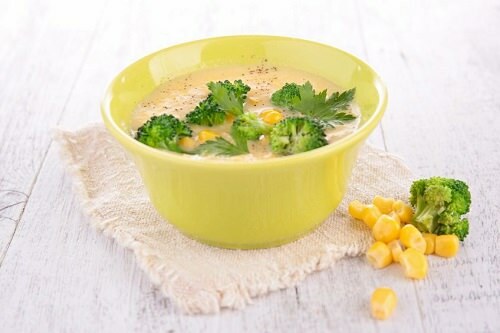 Coconut and almond milk add creamy goodness, and spicy curry powder complements the sweetness of the corn. Cook the corn in the milk on your stovetop and add salt and pepper to taste. Puree the soup in your blender if you prefer a smooth and creamy soup.